Collection of Vaishnava bhajans (songs) composed by Vaisnava acharya like Narottam Das Thakur, Bhaktivinod Thakur, Lochan Das Thakur, Sarvabhaum Bhattacharya, Vasudeva Ghosh, Srila Prabhupada and much more.... and sang beautifully by devotees. The story now is going towards the past when Nar and Narayan go in deep meditation in the Himalayas. Due to their piousness and deep meditation, the throne of Indra is in trouble. Indra wants to break the Samadhi or meditation of them. Hence, he sends his beautiful apsaras to attract towards them and break the meditation. When the meditation is broken, Nar sees the apsaras, he creates one much beautiful and elegant from his thigh. This is how the most beautiful apasara of Lord Indra takes birth. 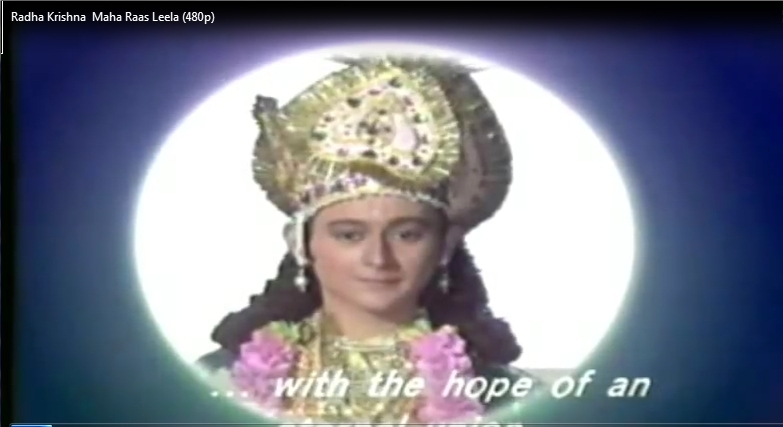 He names her as Urvashi and tells them to take her as his gift to Indra and again goes in meditation. The Nar and Narayan are the future Krishna and Arjun in their next rebirths.